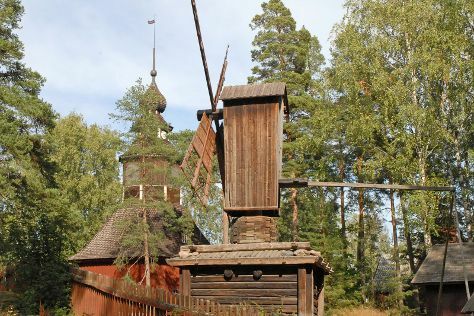 You'll discover tucked-away gems like Seurasaari Island and Open-Air Museum and Room Escape Games. You'll find plenty of places to visit near Helsinki: Porvoo (Cathedral of Porvoo & Porvoo Old Town). Pack the 5th (Sun) with family-friendly diversions at Linnanmaki Amusement Park. There's still lots to do: explore the world behind art at Kansallisgalleria, take in nature's colorful creations at Observatory Hill Park, stroll through Kaivopuisto, and browse the eclectic array of goods at Hakaniemi Market. For where to stay, reviews, more things to do, and more tourist information, use the Helsinki trip planner. If you are flying in from India, the closest major airport is Helsinki Vantaa Airport. In May, daily temperatures in Helsinki can reach 18°C, while at night they dip to 7°C. Wrap up your sightseeing on the 6th (Mon) to allow time to travel back home.